Iranian Foreign Ministry spokesman promises a "crushing" response if the U.S. designates Revolutionary Guards a terrorist group. 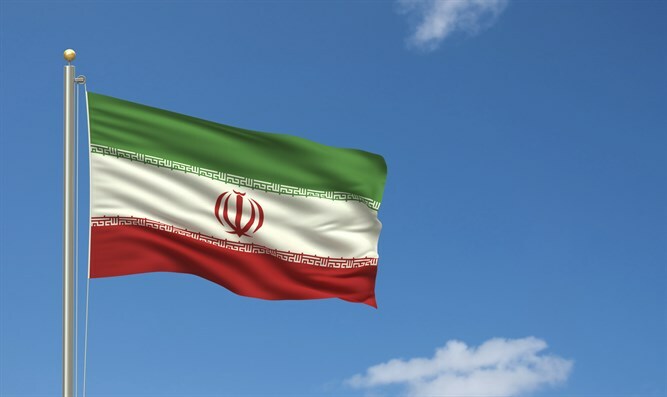 Iran once again issued a threat on Monday, promising a “crushing” response if the United States designates its elite Revolutionary Guards as a terrorist group, Reuters reports. The pledge came a week before President Donald Trump is expected to decertify the nuclear deal signed between Iran and world powers, including the U.S., in 2015. Trump is also expected to designate Iran’s most powerful security force, the Islamic Revolutionary Guards Corp (IRGC) as a terrorist organization. “We are hopeful that the United States does not make this strategic mistake,” Foreign Ministry spokesman Bahram Qasemi was quoted as saying on Monday, according to Reuters. “If they do, Iran’s reaction would be firm, decisive and crushing and the United States should bear all its consequences,” he added. Qasemi's warning came a day after IRGC commander Mohammad Ali Jafari warned that U.S. regional military bases would be at risk if further sanctions were passed on the IRGC. “If the news is correct about the stupidity of the American government in considering the Revolutionary Guards a terrorist group, then the Revolutionary Guards will consider the American army to be like Islamic State all around the world,” he threatened. In an interview which aired on Saturday night, Trump accused Iran of “funding North Korea” and “doing things with North Korea that are totally inappropriate”. In September, the U.S. Treasury Department announced new sanctions targeting 11 companies and individuals accused of aiding Iran's Revolutionary Guards or cyber attacks on U.S. banks. In August, Trump signed into law a bill which imposes sanctions on the Revolutionary Guards. Iran had blasted the United States over the bill, threatening U.S. military bases in the region as Jafari had done on Sunday.